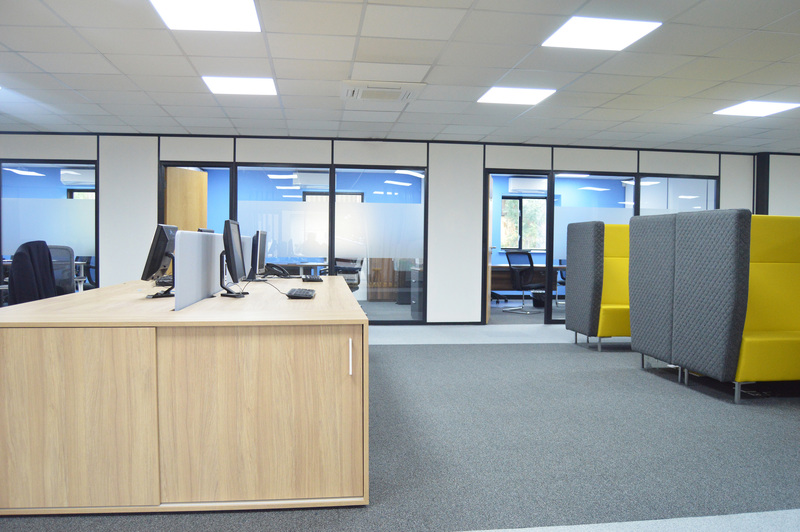 After extending their lease on their Hadfield Road branch, Enterprise Rent – A – Car decided to give the branch a much-needed face-lift. 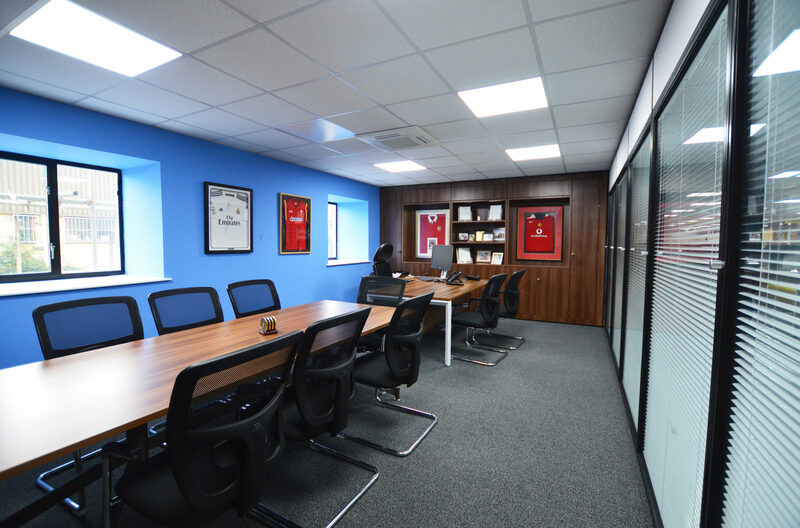 Enterprise Rent A Car are the worlds leading car rental company with branches all over the globe, they take pride in the service they are offering their customers and always aim to go the extra mile and ensure that each one of their branches reflects this. 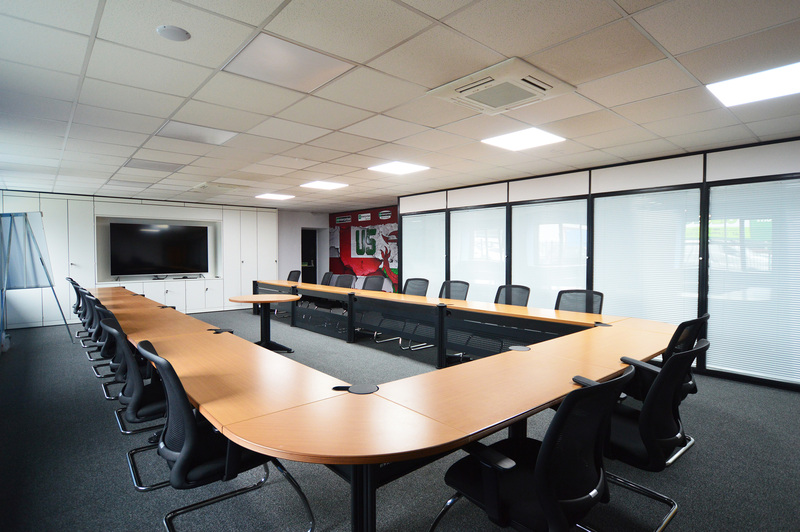 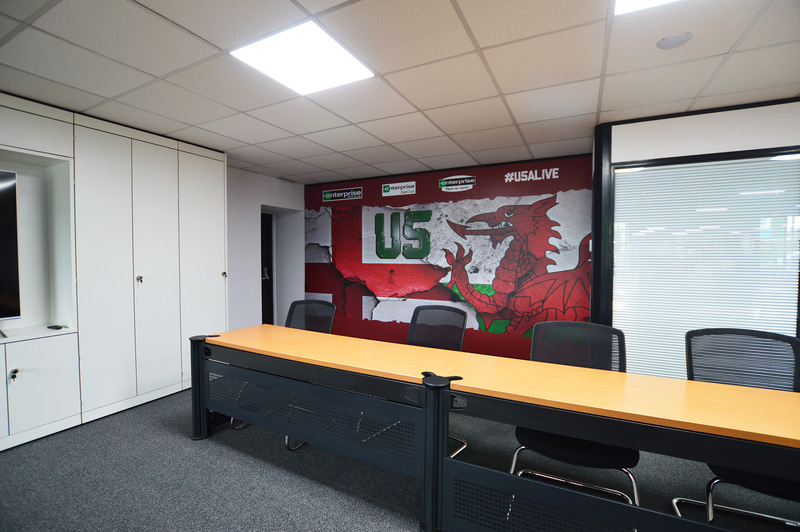 The Hadfield Road branch is the largest Enterprise Rent – A – Car branch in Cardiff and needed to be designed to reflect the needs of both staff and clients. 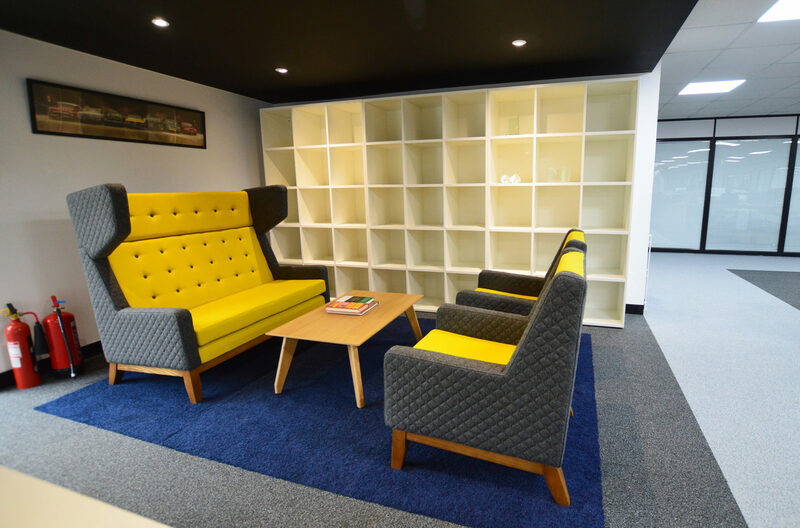 The tired and dated decor was updated to become a brighter more welcoming space for anyone visiting the branch. 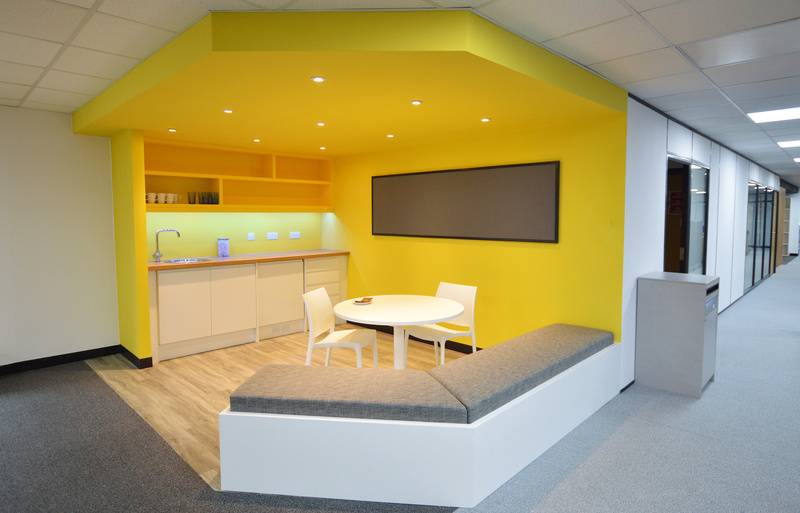 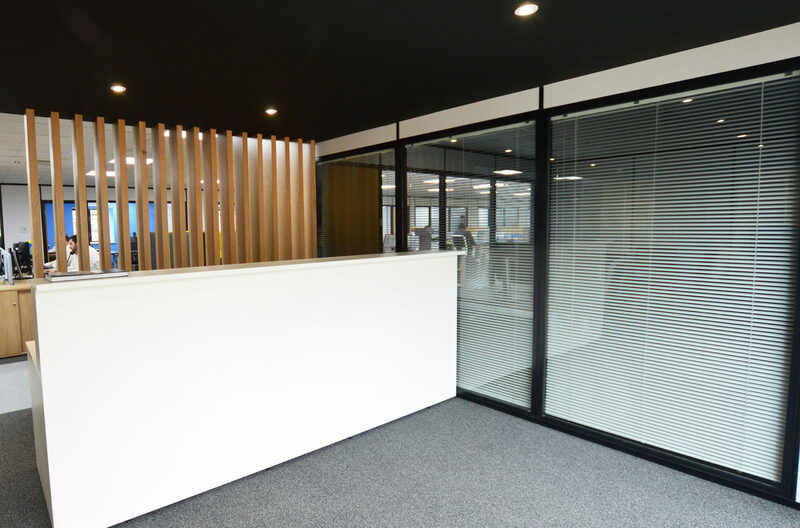 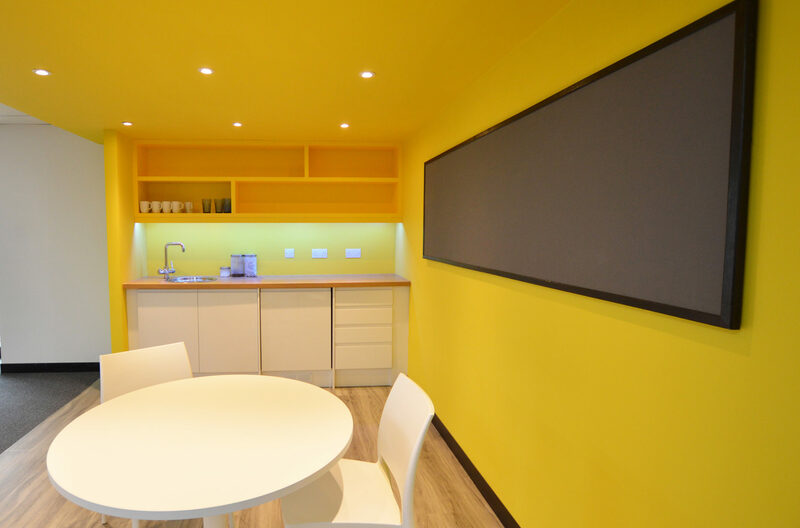 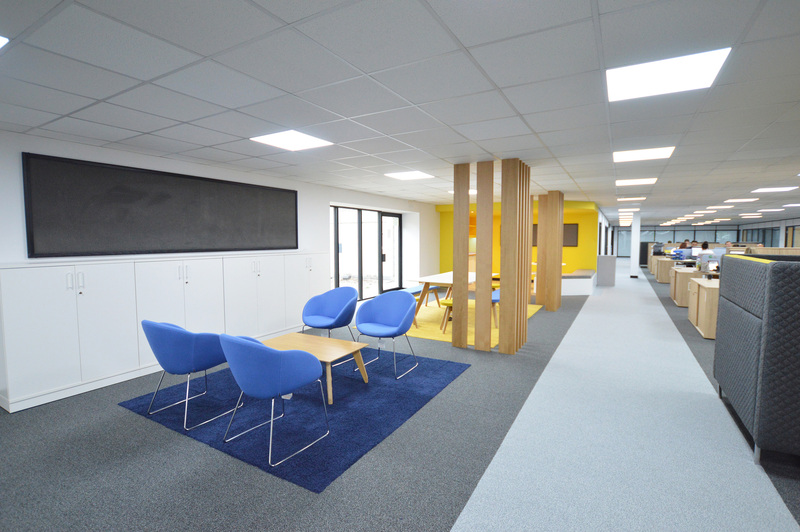 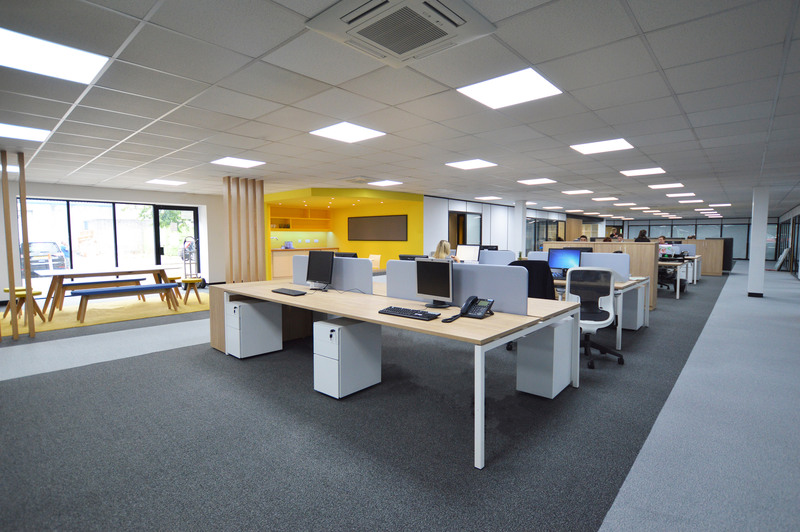 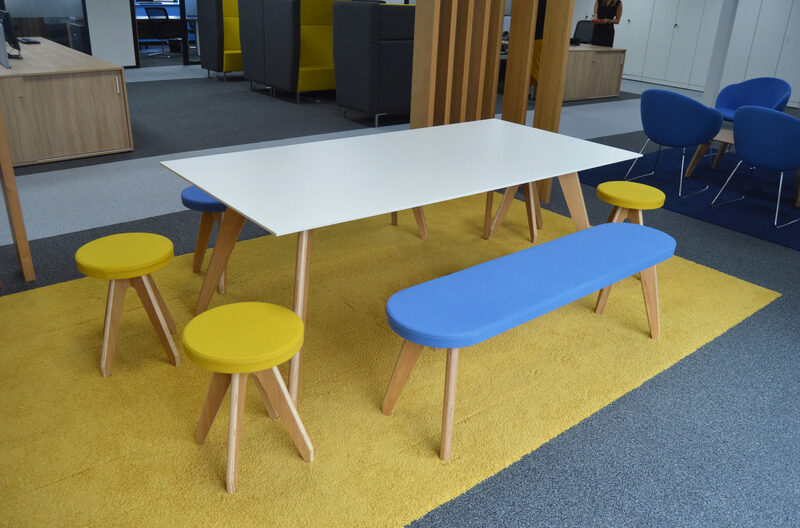 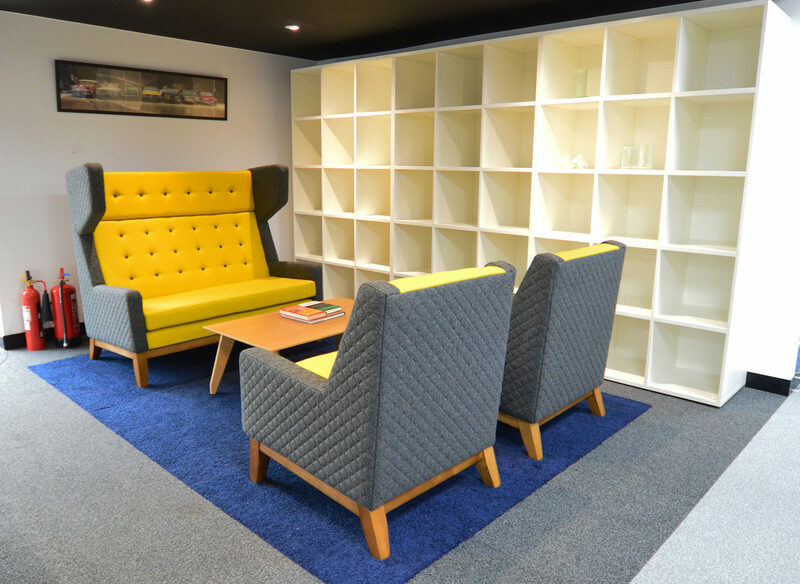 The space was designed around being a more comfortable and attractive working environment, with blues and yellows used throughout the scheme, with the company moving away from the standard ‘Enterprise green’ throughout the building. 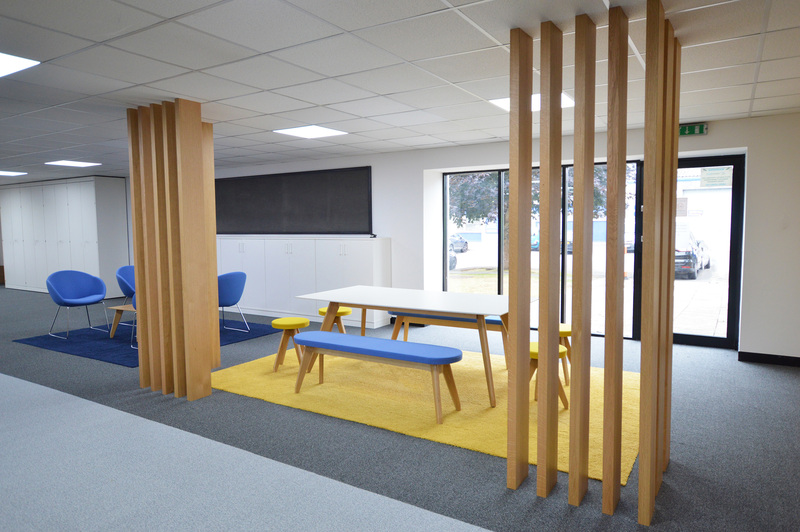 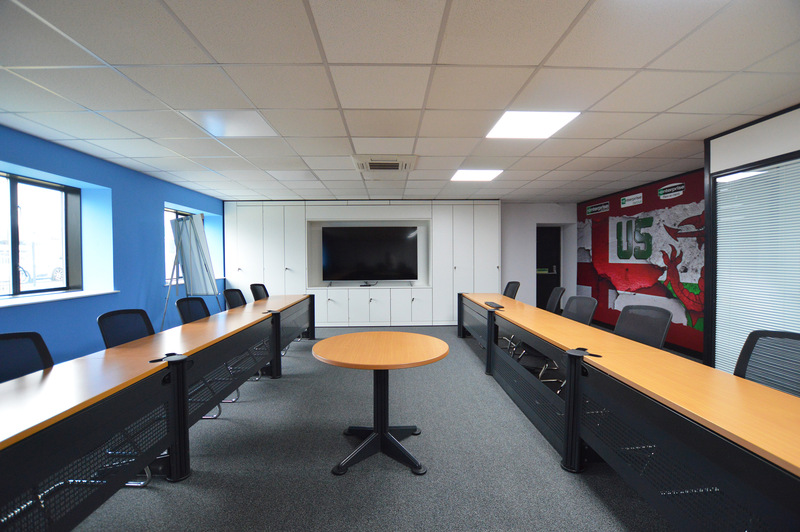 The client wanted to make sure the space reflected the companies core values while moving away slightly from the overly corporate feel that some other branches in the company have. 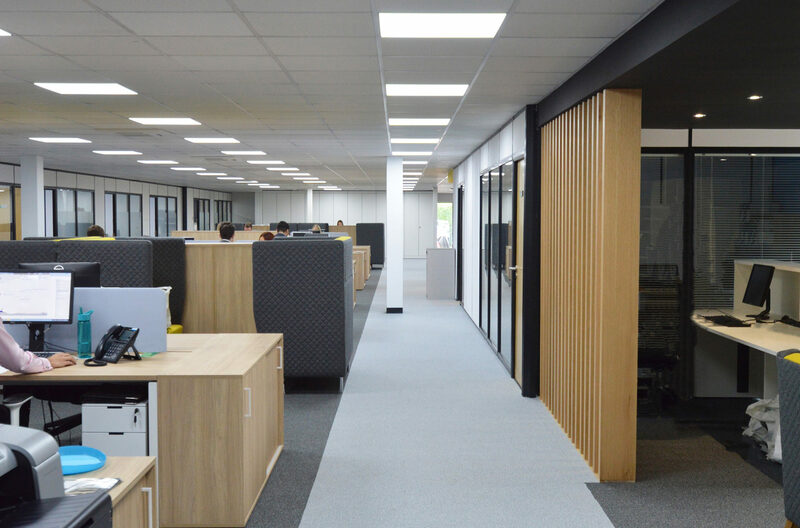 The design of the office area made better use of the floor-space available by creating more communal and collaborative spaces for staff and clients to interact, while not reducing desk space available to the staff. 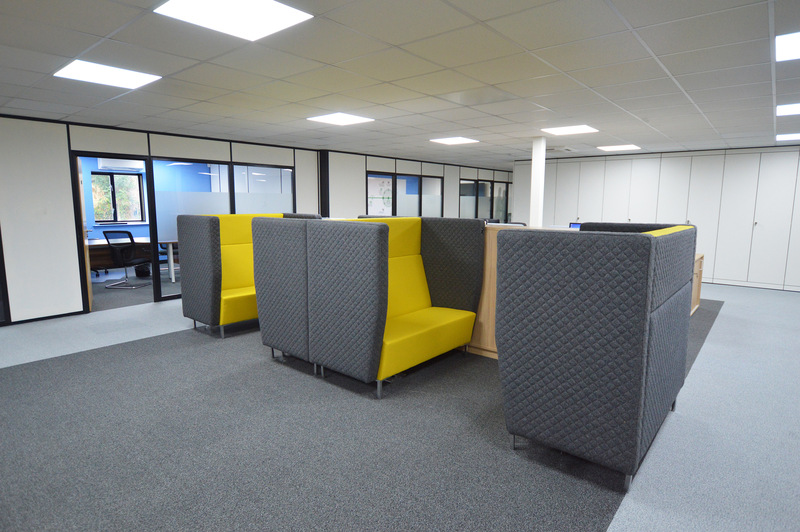 Doing this offered customers the privacy that is sometimes needed, without taking away from the open plan office space that was desired.